The #1 training aid in the world just got better! The hinged club line is the signature of Medicus(R) since the first one was developed in the 1980's. As technology has evolved, so has the hinge, and it is now better than ever. 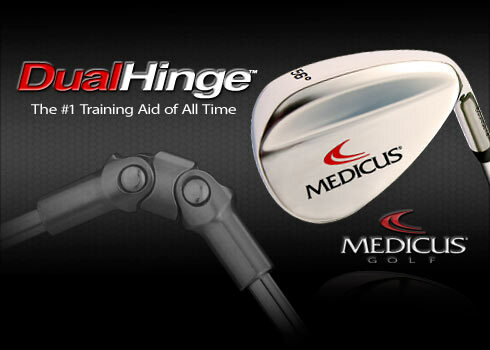 The Medicus(R) DualHinge(TM) is the #1 swing diagnostic and training tool. Learn to swing on path and control your clubface to start hitting consistent, on-target shots with the DualHinge(TM) Practice Clubs.